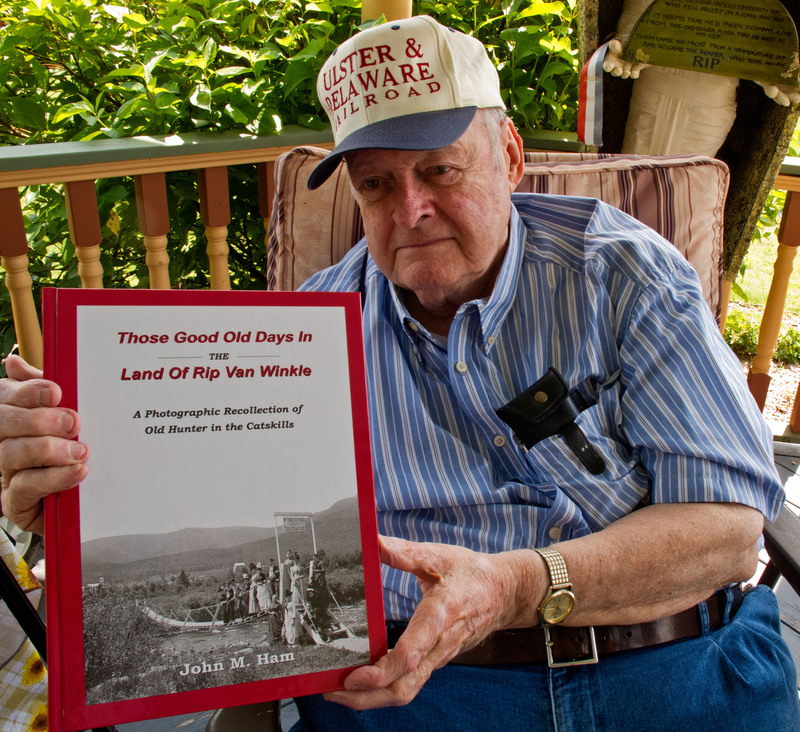 Local historian and author John M. Ham poses with one of his books. “Natural and Historical Landscapes.” This is the first time the MTHS has ever hosted a photo exhibition and I’m privileged that they’ve decided to “take a chance” on me and am especially thankful to current MTHS President Cyndi LaPierre for her faith in my work. On Sunday August 10 the MTHS invites us all to their official celebration of their fortieth birthday. Come and join in the fun if you can! On Route 23a in Haines Falls — you can’t miss the sign and the colorful headquarters. At 1 pm Larry Tompkins will present a lecture about beautiful, historic Windham. From 3 pm to 4.30 pm the Rhythm and Blues Band will entertain, and there will be free ice cream and cake for everyone. And while you’re at it, please stop into the Visitor Center to enjoy my photographs–you might find a print or some fine-art cards you’ll want to take home. The entreaty that we read in more than one of the Psalms, “God, save me, pull me free from the raging waters,” could all too easily be applied to several towns and villages along Ulster County’s Route 28. Boiceville is one of those towns. 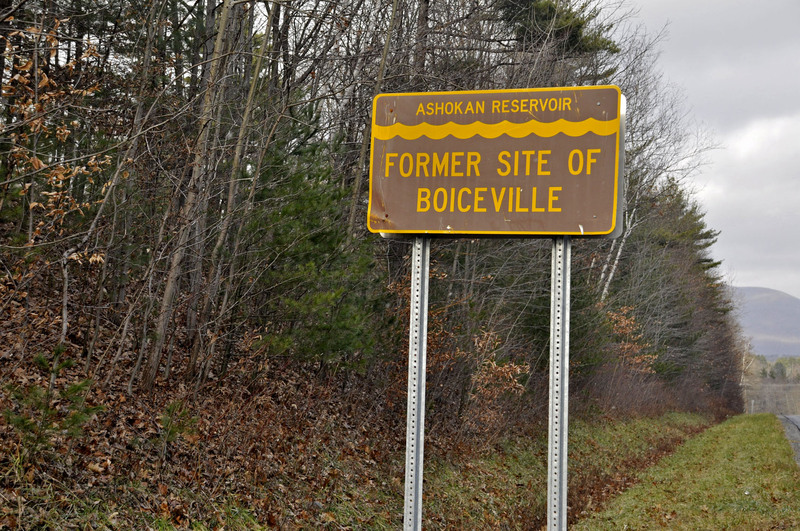 In the early twentieth century, the original site of Boiceville was one of several in the Esopus Valley that were moved or destroyed in order to make room for the Ashokan Reservoir. The valley would be flooded to create a water supply for the burgeoning population of New York City, 120 miles to the south. A meticulously researched film by area resident and professional filmmaker Tobe Carey documents this event in heartbreaking detail. 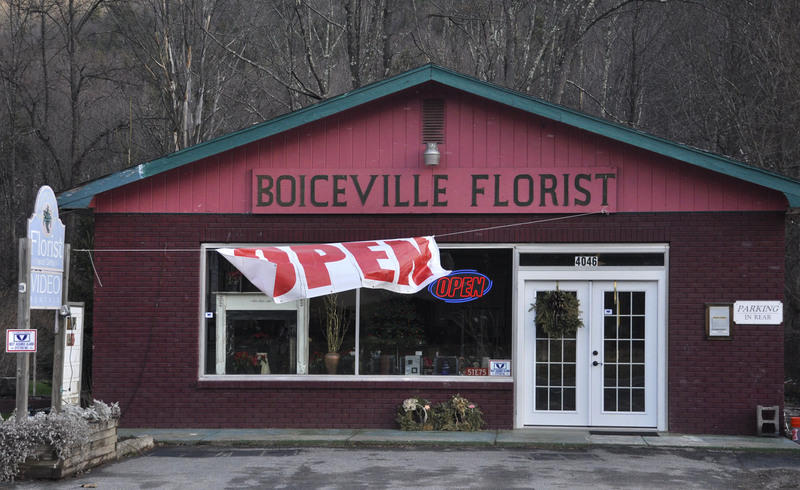 In a sense, Boiceville was one of the fortunate towns. It was relocated, while several of the others were demolished without a trace. 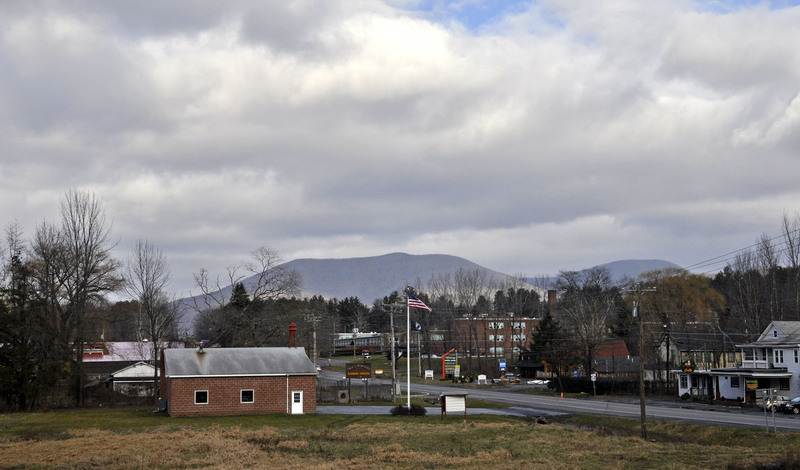 Today when you drive along Route 28, you can see signs indicating the former sites of the Esopus Valley towns that either disappeared or were displaced. The flooding of the Esopus Valley for the Ashokan Reservoir was not the last water threat to ravage this Ulster County area. In August 2011 Hurricane Irene devastated towns from Phoenicia to as far west as Margaretville and Prattsville. The recovery still goes on. Last week I drove out to Boiceville, chiefly in search of the viewpoint from which the nineteenth-century landscape artist Asher B. Durand painted his masterpiece High Point: Shandaken Mountains. We had located it at approximately the point at which Routes 28 and 28A meet, which happens to be where Boiceville begins. I’m not certain whether I found the exact spot for Durand’s painting, but I did find a Boiceville recently risen from the effects of Irene. Why, I wondered, did the local florist display a sign that so insistently proclaimed that he was open? 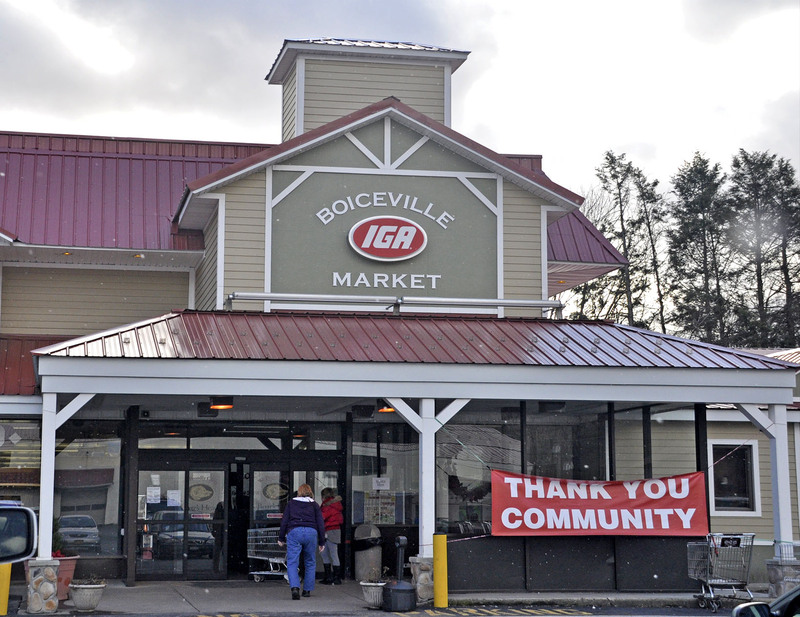 Then when I pulled up to the parking lot for the Boiceville IGA Market and other businesses and saw the huge signs thanking the community and the volunteers, the light bulb went off in my head. Wanting to support the local economy, I went into the market, bought some delicious rolls and deli meats, and began chatting with the locals. Sure enough, the supermarket had been closed for eight weeks until the Irene waters that had flooded the store’s basement and main floor could be cleared. And the florist–he had only just reopened after the hurricane had taken its toll. The Rotary Club helped to coordinate massive relief and fundraising efforts, to the extent that $12,000 still remains to be distributed, in 2012, to people who still need it. The need still persists. And so does the existence of these amazing communities who rally, coordinate, and cooperate in order, with God’s help, to pull themselves from the raging waters. My collection of Favorite Photos of 2011 is now up on my website in its own gallery, Several of the photos, of course, are from the Hudson Valley. I invite you to visit my website to check them out. If you wish to purchase any prints, I’m offering a 10% discount on all purchase with a minimum order of $10.00. Just use Coupon Code NYSP12; valid until January 31, 2012.